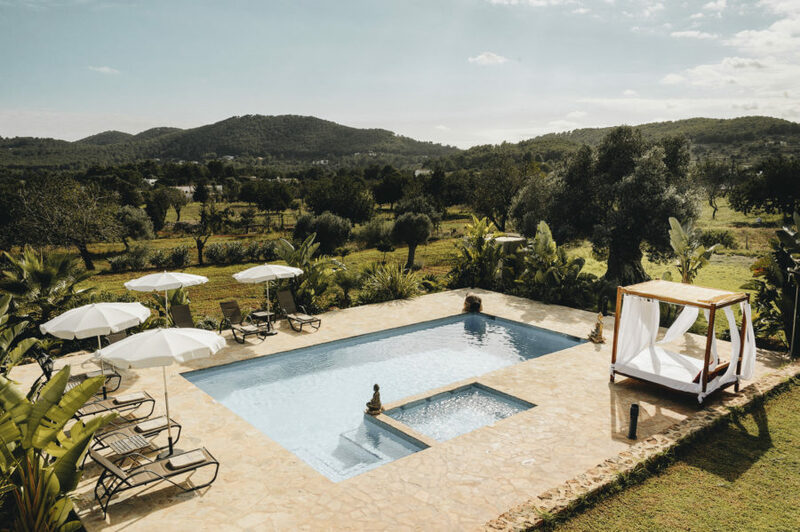 This retreat is a complete step back from work and routine, to immerse yourself in a Yoga Week and discover a truly magical, multifaceted Island. 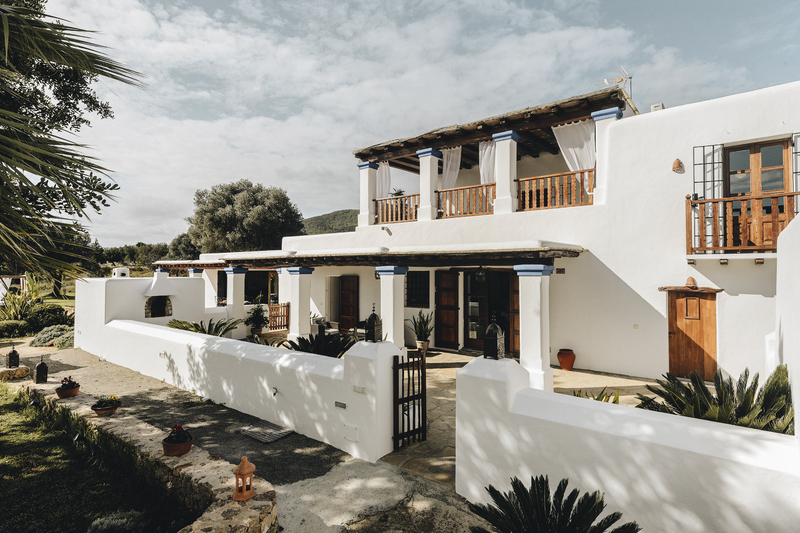 We are situated in a modern yet typical Ibiza Finca, a few minutes’ walk away from amazing beaches such as Aguas Blancas or a minute drive the cool village of San Carlos. 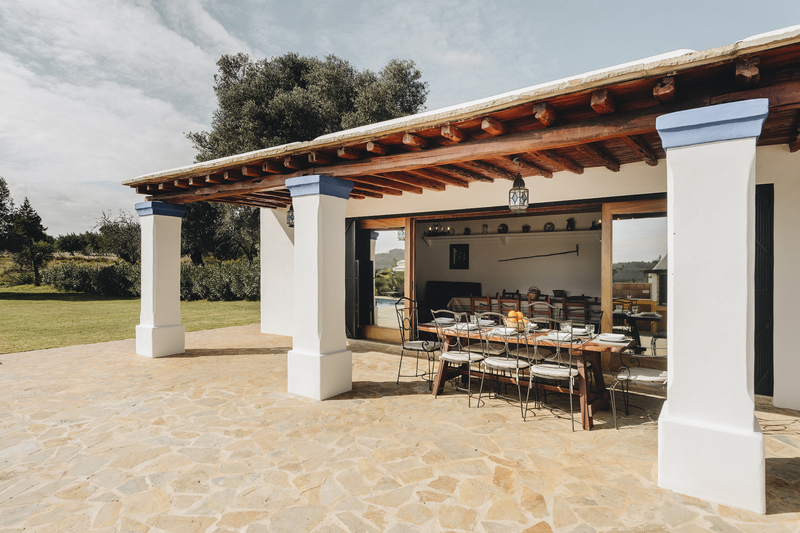 Note: as of 2018 Balearic Government requires a tax payment (15€) and a sign form from all guests in the island. This will be asked onsite at arrival. JUNE: Sunday 16h -Saturday 22nd June | Summer Solstice Retreat. The style of Yoga we teach is a Flow Vinyasa based, yet with influences from Ashtanga primary series , tradicional Hatha Yoga and restorative practices. The classes will stay dynamic, building up each day towards a stronger practice, deepening your knowledge of the keys postures, learning how to create a self-practice for yourself. Every class will be adapted to the level of each student, yet keeping the group dynamic. 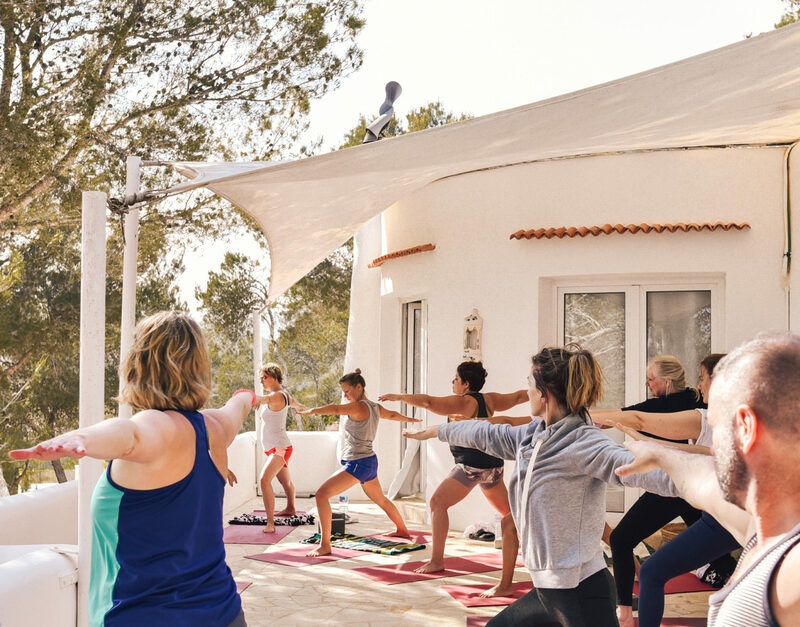 Our aim is for you to leave the Ibiza Yoga Week with a grounded practice, and seeing progress in the areas you have to focus on. At the end of each class, we will leave time for breathing exercises as well as deep guided meditation and relaxation. The evening classes will be a consolidation of the morning class, as well as restorative postures and relaxation. 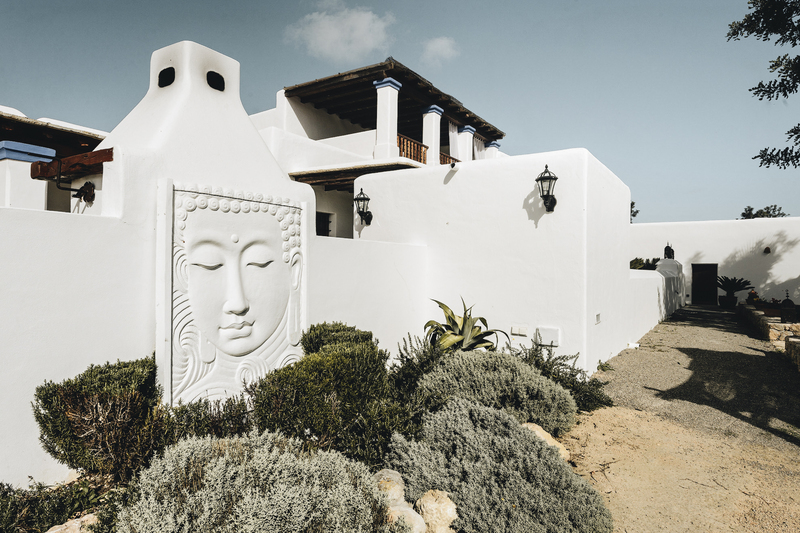 Ibiza is renowned to be a great hub for wellness, holistic therapies and alternative. For that we have curated a selection on fantastic alternatives therapies to complement the retreat. Dip Tissue Massage and other treatments. Private Sailing Boat to Formentera. Paddle Boarding and water sports. We can offer these types of rooms. 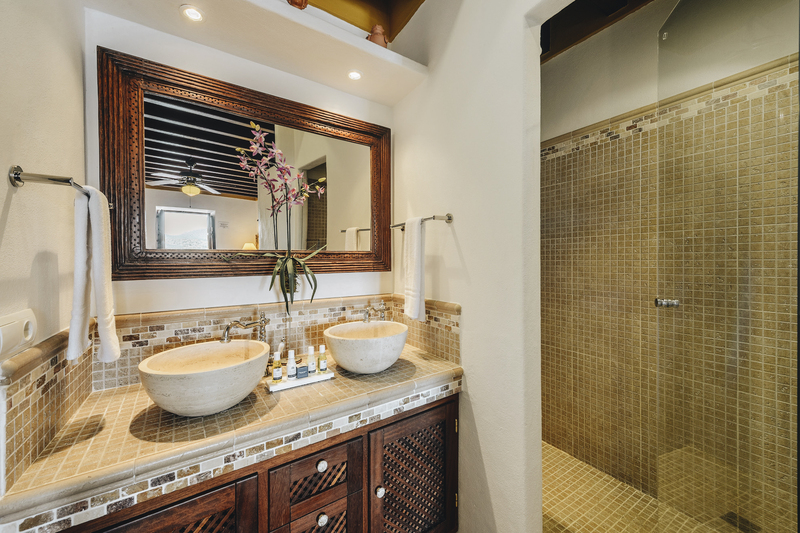 All our rooms offer private bathroom. 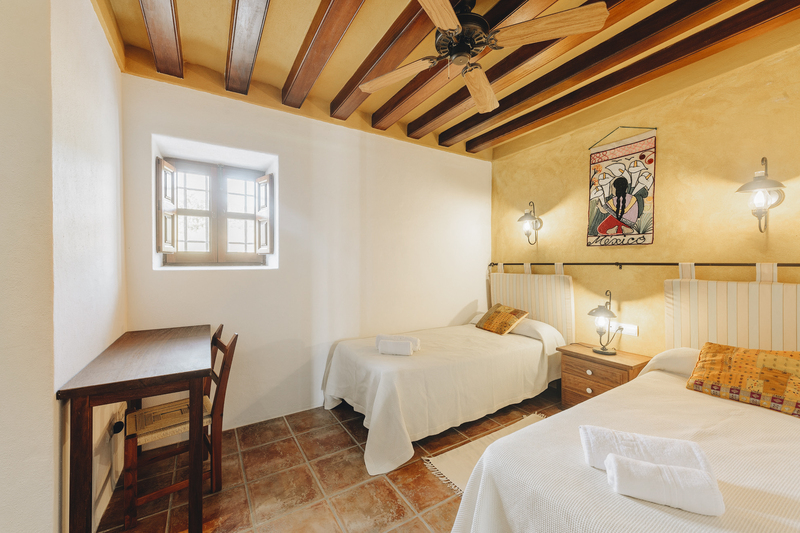 Twin Shared Room - 1195€ All included. Private Room (1 Person) - 1895€ All included. 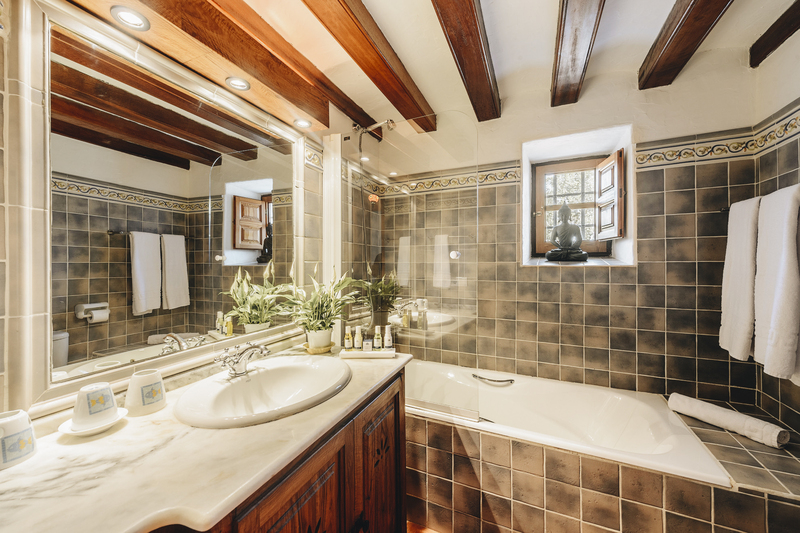 Private Room (2 Person) - 1125€ per person. All included. 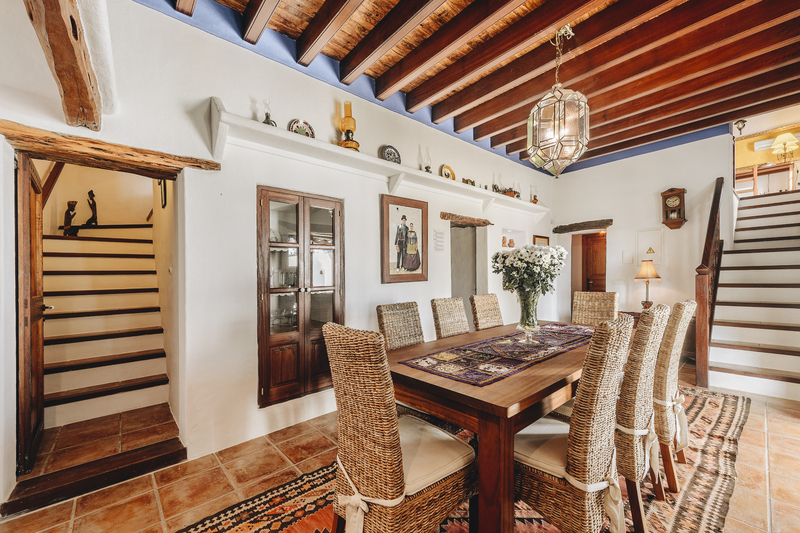 The Ibiza Yoga Weeks House is a very spacious and charming Ibizencan house, with all modern comfort and facilities. An amazing pool surrounded by nature, 3 porches and sunbeds, terrace and fantastic living to relax. 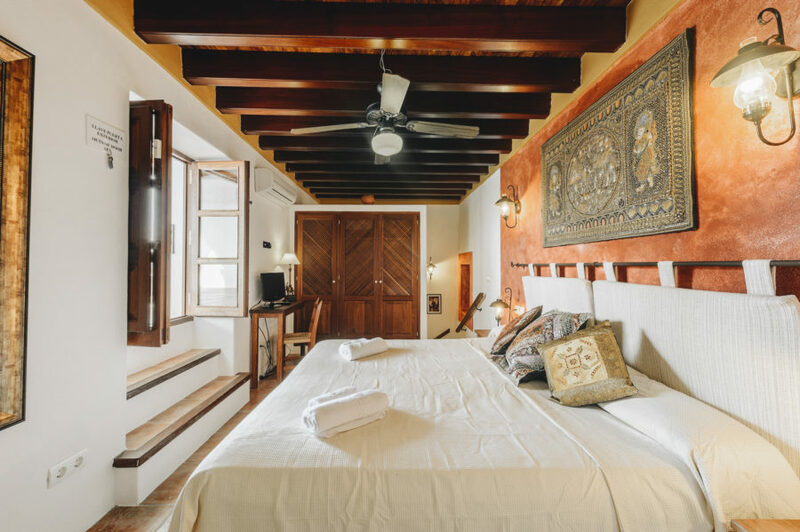 The bedrooms are spacious, nicely decorated, with natural light , storage and a private bathroom. The location of the house is really unique. 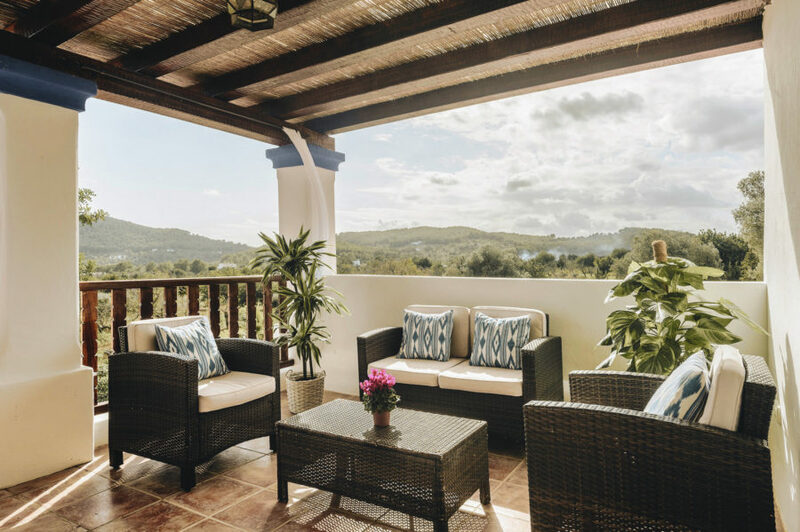 Not only the views and location is stunning, surrounded by nature but also we are about 10 minutes nice walk to one of the nicest beaches on the Island : Aguas Blancas. Also few minutes drive from many nice others such us: Cala Nova, Es Figeral, Cala Llena and more. 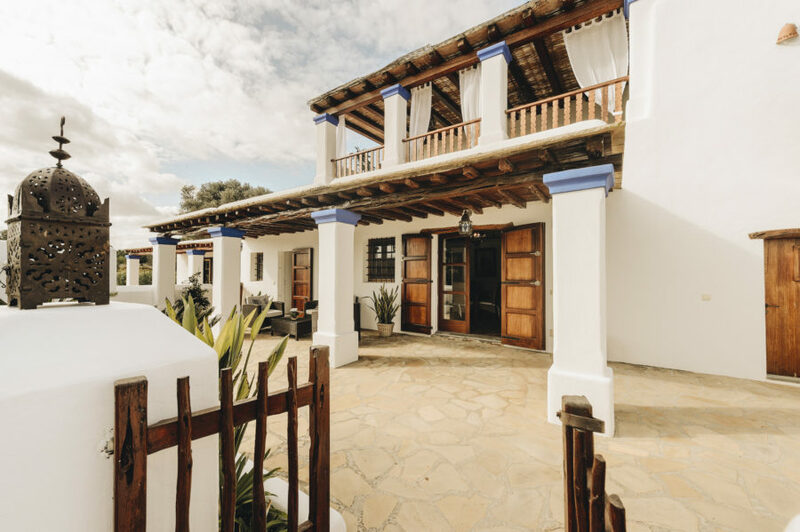 We are also minutes’ drive away from the cool village of San Carlos where you will find, has a cafes, restaurant, cash point and few nice shops. This is also where the famous Hippy Market, Las Dalias is ( literally minute away). From June to September you have there a night market too, every Monday and Tuesday. Every Wednesday night, there is a great evening out with the party of Las Dalias "Namaste", with live bands, chill out areas, food stalls etc. We will organise a group dinner out together, with then the option of enjoying a night out. Although it is not essential, but we do recommend to rent a car, especially if you are an "explorer" type. The North and the South of the Island also have amazing beaches like Benirras or Salinas in the South, as well as Es Vedra, a very emblematic and magnetic spot in Ibiza. 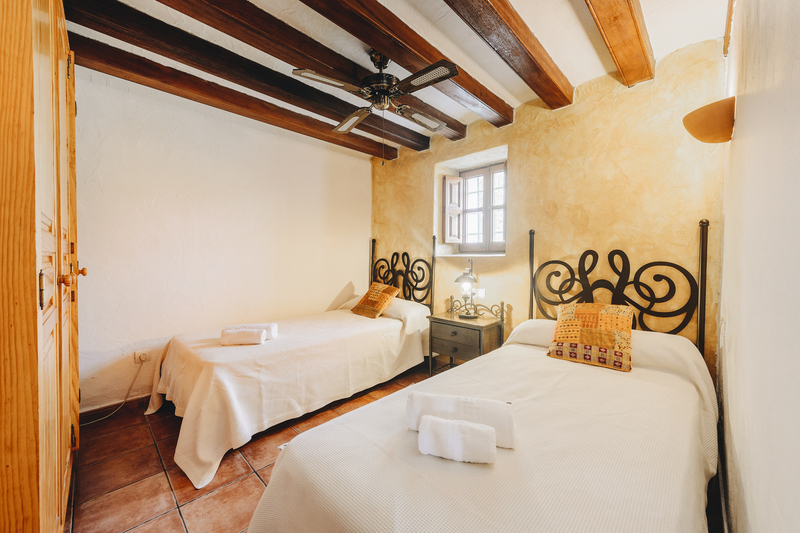 And Ibiza Old Town or Santa Gertrudis are not to be missed. Here we have decided to create the best of both worlds... the serenity of the house surrounded by trees, and a short distance away to have a wonder in the village, have a coffee and enjoy the island vibes. Arrivals and check in from 4pm. Welcome dinner - Curry by the pool. Please note: 2 nights of the retreat ( Generally Wednesdays and Fridays) are free to go and explore the island for dinner. 11.00 pm: Farewell check out. After the morning class, we will have a Brunch together on the terrace, with fresh juices and delicious Veggie food. The food at Yoga Weeks is cooked and sourced locally. Consists in a delicious vegetarian fresh brunch and a light supper at nights. Delicious fresh and colorful salads, main nutritious dishes, tasty dips, fresh soups and juices etc.